To get a more accurate estimate, please reach out and call today (203) 292-1982. Since this price can be very different from brand to brand, it is not easy to quote a general cost. If you were to average all of the repairs on fridges out, you would probably see a number close to $120. Again, depending on the issue, this number can be much lower or much higher. DO YOU FIX BROKEN ICE MAKERS? We can certainly fix just about anything, but certain ice makers are more complicated to fix than others. When it comes to some brands, the parts that fail frequently are easy to predict for the most part. We usually carry these parts with us in our trucks on a regular basis since we know this is a common issue. 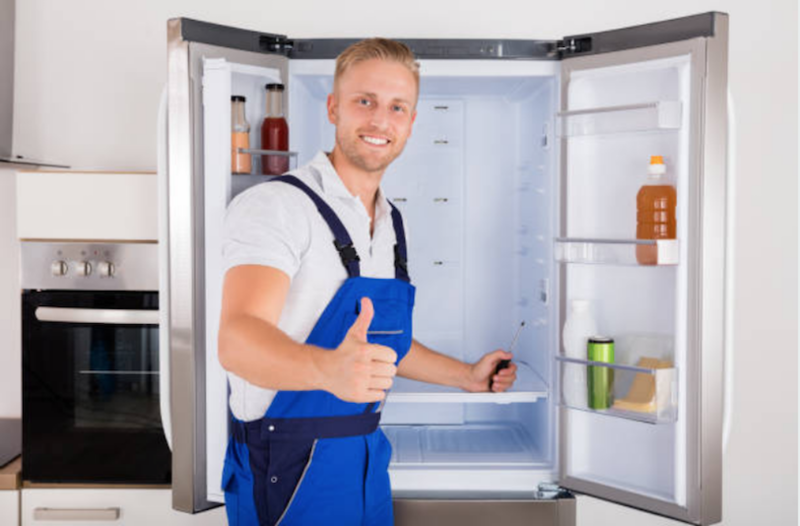 IS REFRIGERATOR REPAIR THE BEST OPTION? I DON'T SEE MY APPLIANCE REPAIR QUESTION. CAN I CALL YOU? Our Refrigerator Repair Frequently Asked Questions have been compiled to assist our customers with common questions, and save them time. Yes, not every single inquiry we receive is listed, however we do our best to continue to update this list as often as we can. Did you know that we also have FAQ's related to other types of appliances? DO YOU OFFER APPLIANCE REPAIR NEAR STAMFORD? Discounts with Groupon and more! If you need to repair your broken refrigerator ASAP, you'll want to dial us up right away. We offer same day service in many cases. From leaking dishwashers to squealing dryers and overflowing sinks due to a broken garbage disposal, we have seen it all and can handle it all! So give us a call today (203) 292-1982. DO YOU REPAIR GE & WOLF APPLIANCES? We service many brands including those listed above. Our trucks are fully stocked with parts so we are usually able to make a repair in just one trip, saving you a boatload of time! If there is one thing that is truly annoying, it is when a repair tech has to make one or two trips to the store house to get parts they should've had with them to begin with. Since we are able to chat with you over the phone first, we try to gather as much info as possible to prevent this from happening.